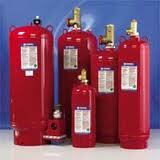 In some cases, conventional fire suppression methods can cause as much or more damage than the fire itself. When specialized equipment and resources are simply too valuable or too fragile to trust to a standard sprinkler system, faster, more responsive fire suppression is needed. Fire Solutions NW installs and services Special Hazard Suppression systems designed to detect and suppress fires in seconds, so your most indispensable resources are safe from fire, smoke and water damage.